There are two other major auto events that are opening their gates in mid-November, and that would be the 2016 Los Angeles Auto Show, with lots of impressive concepts to be displayed, as well as China`s important Guangzhou Motor Show, which premieres the latest models prepared for the Asian market. On that matter, Buick is also getting ready for the big finale – we are not sure which one – to lift the veil of its Velite Concept, which will spawn the new Chevrolet Volt in China. 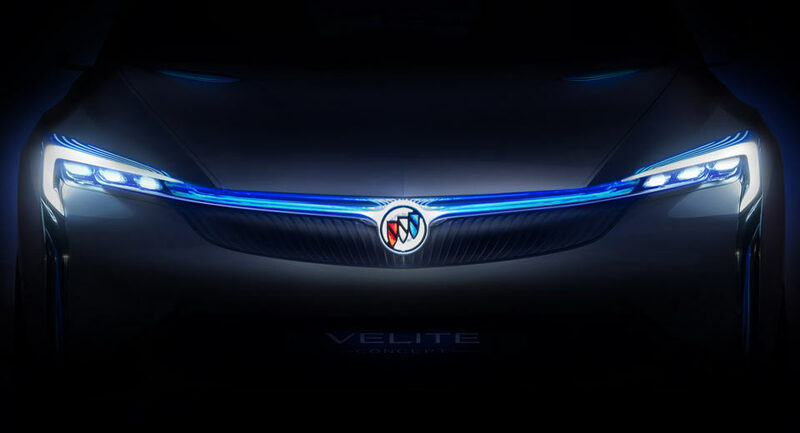 Seen here below in what seems to be a teaser image ahead its official debut is the front fascia of the Velite Concept which is showcasing the latest lighting styling that the new Volt will be coming with; and I have to admit the overall design is looking pretty aggressive. There are little known about the upcoming Chevrolet Volt, except for the fact that it will be purposed for the People` Republic of China alone, the model looking quite identical with its US sibling, except for the new bumpers, badges and brand-new lights. Concerning powertrains under the hood, the new Chevrolet Volt will come with GM`s latest and finest modular intelligent electric drive system paired to a lithium-ion battery pack, all part of an advanced drivetrain which will allow the Volt reach a range of impressive 675 km, with a pure electric range of 85 km in the city. Until the official debut of the Chevrolet Volt, take a closer look at the car`s new lights and decide for yourself if the new model will be more beautiful than the present model!